The PEER Collaborative is a peer-mentoring group that supports early-career and mid-career tenure track faculty members who are primarily evaluated on their productivity in engineering education research. 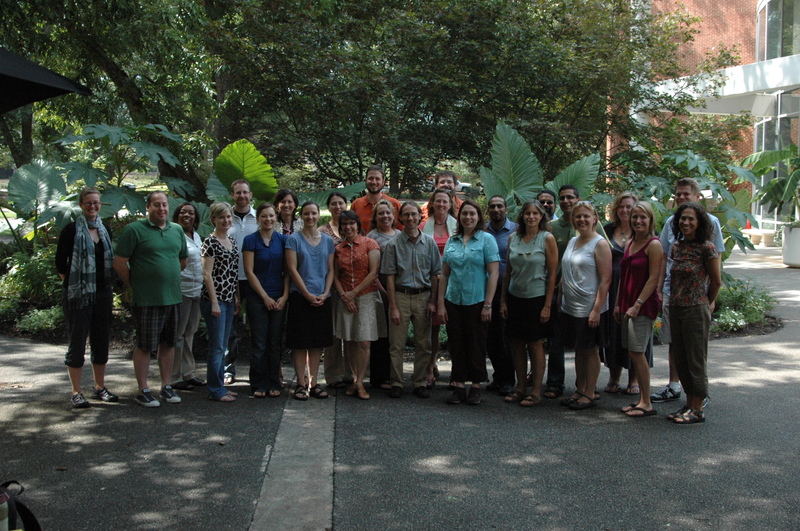 The group hosted its first national workshop on August 11-13, 2011. Workshop coordinators and organizers included Monica Cardella (Purdue), Nadia Kellam (University of Georgia), Julie Martin (Clemson), Lisa McNair (Virginia Tech), Marie Paretti (Virginia Tech), Alice Pawley (Purdue), Senay Purzer (Purdue), and Joachim Walther (University of Georgia). This material is based upon work supported by the National Science Foundation under Grant No. 1129455. Any opinions, findings, and conclusions or recommendations expressed in this material are those of the author(s) and do not necessarily reflect the views of the National Science Foundation. Pawley, Alice L. Carberry, Adam R., Monica E. Cardella, Maria-Isabel Carnasciali, Shanna R. Daly, Jenna L. Gorlewicz, Geoffrey L. Herman, Morgan M. Hynes, Shawn S. Jordan, Nadia N. Kellam, Micah Lande, Matthew A. Verleger, Dazhi Yang (alphabetical). “The PEER Collaborative: Supporting engineering education research faculty with near-peer mentoring unconference workshops.” American Society for Engineering Education Annual Conference and Exposition, Indianapolis, IN, June 15-18, 2014. Paper.